Children are typically very picky eaters by nature. But what if you let a child become part of the cooking process? When children help prepare a meal they are more likely to eat that meal than if they had not helped cook it! So, what have you got to lose? You will get some assistance in the kitchen, your children will gain a few cooking skills, and you all will prepare a delicious meal for your family that everyone will eat. 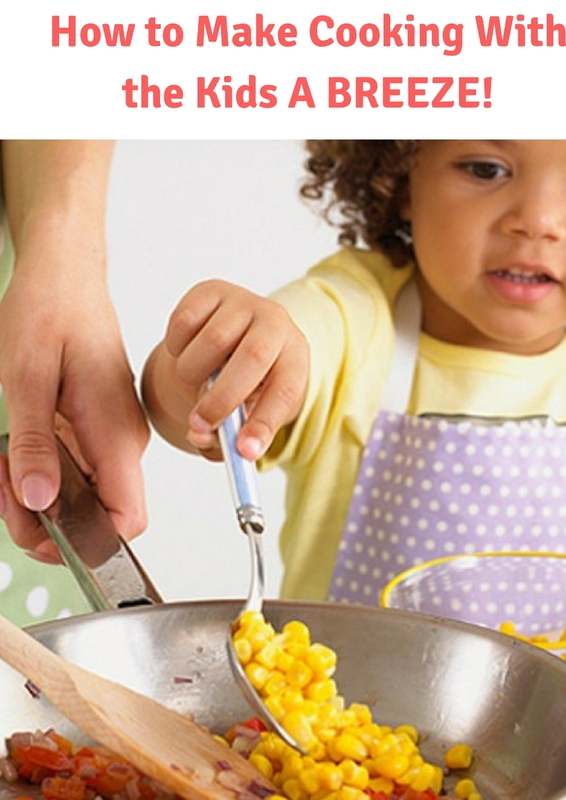 Here are some ideas to help guide you through the cooking process with children. Planning the meal – Sit down as a family and have your kids help plan the menu. It’s best to have a few choices available to them to choose from, and the meals should be both healthy and well balanced. Have them create a grocery list for the meal and, if possible, include them on your shopping trip to the grocery store. Allowing children to plan a meal for the family creates a sense of helpfulness and selflessness in them. Plan your meal for an evening that isn’t packed full of activities or rushed, because kids tend to take longer to cook a meal since they are just learning. Wash your hands and produce – Always start any meal prep by washing your hands (adults too!) and any produce that you’ll be using to cook your meal. Read the recipe – Read the recipe together and make a plan on how you’re going to tackle all of the prep work and actual cooking of the meal. Kids who can read enjoy being in charge of reading the recipe and informing everyone what steps are next. Get to work – Depending on the age of your children, you may have to assign tasks to them if they are younger, or you can let them decide who is going to do what if you have older children. Make sure that all of the tasks are age appropriate, but at the same time are tasks that will captivate your child and engage them in the cooking process. 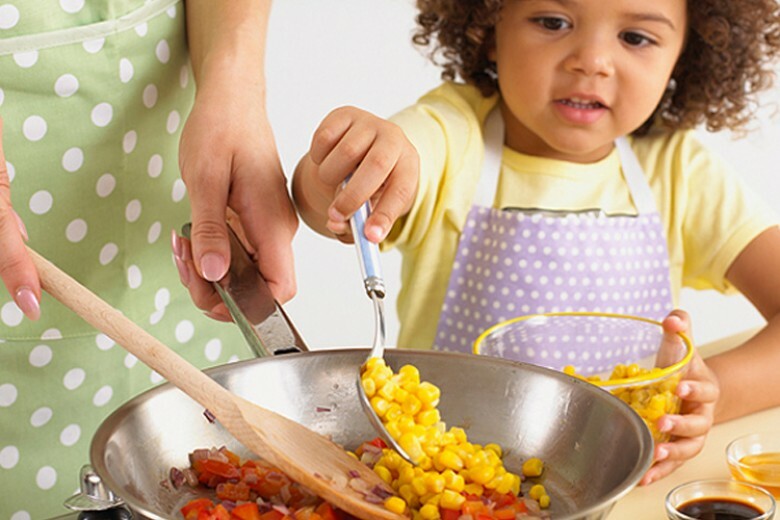 Young children can help chop soft vegetables with plastic knives; older children can help open and drain cans, measure out ingredients, and use sharper knives to help chop; and your oldest children can help cook at the stove and remove things from the oven. Safety – Always supervise children who are cooking in the kitchen. Teach them about stove and oven safety, including when they are not allowed to use it. Instruct them on the correct way to use a knife, a peeler, a grater, and other sharp objects. By teaching children the correct and safe ways to use items in the kitchen you can avoid cuts and burns and create a safe cooking environment. Work surfaces – Provide a safe and stable work surface for your child to prepare food on. If your child can’t reach the counter consider using a stool to give them some height or having them prepare food at the table rather than the counter.
. Make it a learning experience – What better way to practice those math skills than with measuring and adding? 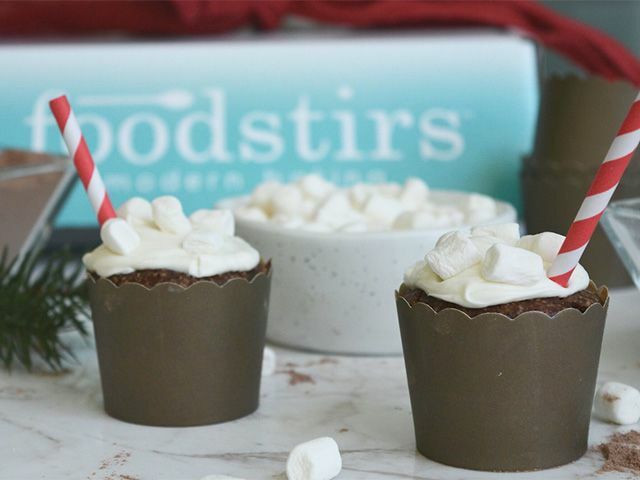 Measuring cups can teach fractions, doubling recipes can encourage addition and multiplication, timers help children recognize time, and reading recipes encourage children to follow steps in order! Cooking with children can be a highly rewarding experience for everyone when it’s done correctly. It’s important that you are patient with your children as they learn to cook. There will be eggshells in the eggs, flour on the floor, and vegetable peels all over the counter, but the sense of accomplishment from your children will be worth the mess!